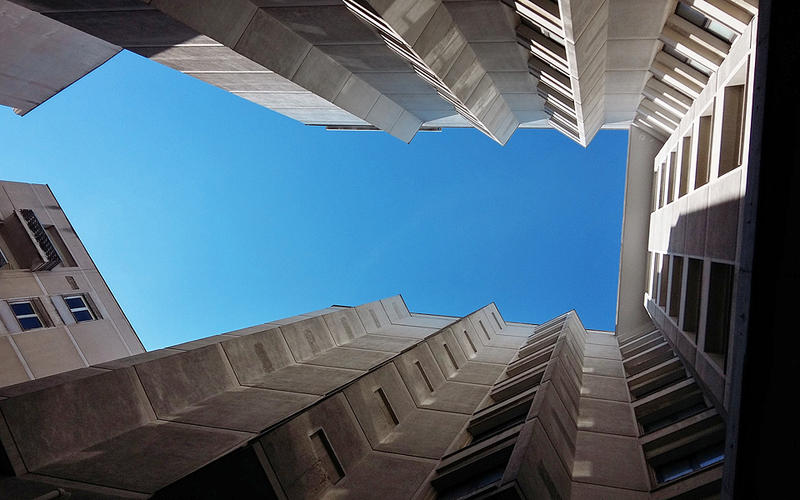 Into Stoas – Athens Walkthrough helps you untangle Athens' thick urban web by taking you on a stroll through the city’s hidden walkways. A foreign traveler’’s fascination with the country’s capital may begin and end atop and around the Acropolis, since most of the time cement-gray Athens is just a stopover on the way to more picturesque island destinations. Next time you find yourself in the city, however, dare to take a path less trodden by tourists, away from famous antiquities, to discover a city within the city that not many locals even know exists. Into Stoas is an ongoing research design project by young graphic designer Natassa Pappa, which started as an exploration of the relationship between graphic design and urban space. 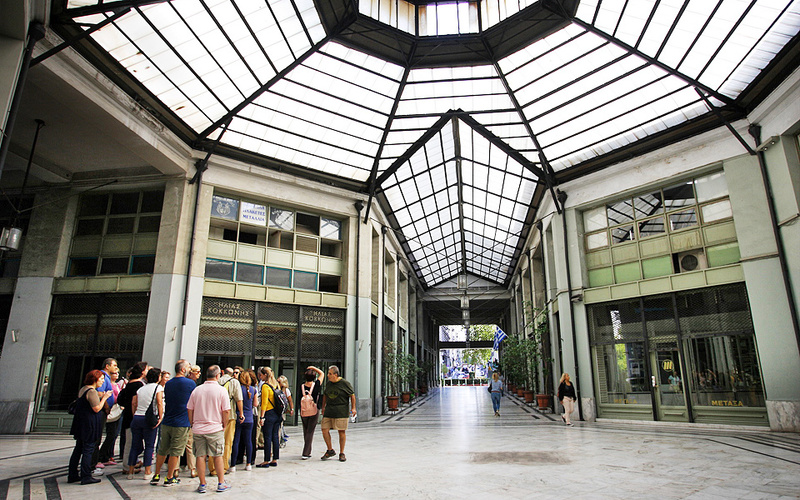 It resulted in a city guide, Into Stoas – Athens Walkthrough, and an associated walk, Athens Walkthrough, both of which offer the foreign traveler, but the local as well, an alternative way of experiencing the city through its covered walkways (stoas in Greek). Pappa has always been fascinated by stoas, in particular the ones that provide the urban dweller a way through, an exit, and therefore a shortcut from one street to the next. Some years ago she started researching and photographing them, initially with no plan in mind. A project began to take shape, though, when she realized that most of these walkthroughs lacked proper signage – with their exit signs hidden, or decaying or altogether nonexistent – and therefore remained unknown and uninviting to the passerby, failing to fulfill their primary function as street connectors. It was at this point that she decided to start mapping the stoa exits in the commercial triangle of Athens by following their old and often overlooked exit signs – design gems on their own merit that reveal a lot not only about the city’s history but also about the history of Greek design. 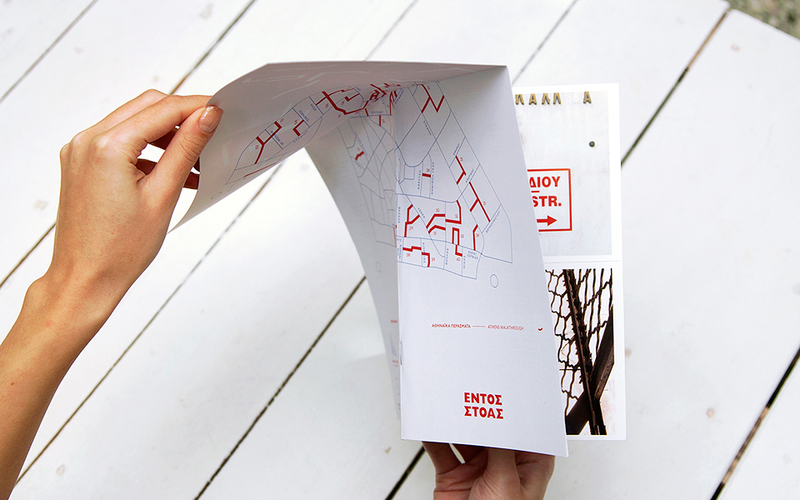 The city guide, with its diagrammatic fold-out map, provides a tool for finding one’s way in the city but also for exploring the stoas’ hidden microcosms. The Athens Walkthrough city walks are the natural evolution of the city guide and are led by Pappa herself in English and Greek. She offers two versions of the walk: a two-hour one, which includes a short pause for a Greek bite and a stop at a souvenir shop, and a three-hour version, which includes meetings with local shop owners, refreshment stops, a live demonstration of souvenir making at a souvenir shop and lunch in one of the stoas. Whichever walk you choose, Pappa will take you through 11 stoas, discussing their unique character, patterns of shape and movement, function and the small businesses that populate them. She will direct your attention to the various shop signs and exit signs, analyzing their typography and visual communication. In the longer walk she encourages the local business owners to discuss their life and business in the stoas with participants. Among the 11 stoas, most of which are named after one of the streets they connect, four impressed me so much that I will definitely start using more often. One is the dark, mysterious and quiet Stoa Santaroza, which hosts some very interesting businesses, like an old photo shop. Stoa Arsakeiou, a true architectural jewel with a skylight, tricks you into thinking you are in some foreign European capital. Stoa Anatolis (Stoa of the East), thus named because its architect copied it from a stoa he saw in Alexandria in Egypt, used to be a hotbed of printing presses, although only two remain. And finally there’s Stoa Kairi, which is actually a narrow street between two buildings. It’s an interesting hub where old businesses, like a gun repair shop and a key maker, coexist with the new businesses of young entrepreneurs that share a common space in one of the buildings overlooking the stoa. Both the city guide and walk propose various escapes from the busy streets into the quiet stoas that can save time and offer temporary shelter or space for repose. However, one should not think of them as crib notes to be followed blindly. Pappa’s hope is that city dwellers and travelers will use them more as an inspiration to find their own way and unearth their own versions of the city, through their own readings of each stoa. Cities, after all, are private affairs that come to life through the traveler’s eyes, expressing individual needs and expectations. So grab a copy of Pappa’s city guide and book a walk, but if you’ve got more time at your disposal, by all means attempt a meandering stroll through the stoas yourself. You may end up discovering something more than a city; you may end up discovering yourself. • Walks every Friday (in English) and Saturday (in Greek). • The meeting point is at Romantso, 3-5 Anaxagora, Omonia, at 11:00. • Cost: € 20 (two-hour walk); € 45 (three-hour walk). Make sure you wear comfortable shoes, plus sunscreen and hat during the summer months. •The city guide Into Stoas – Athens Walkthrough is available for purchase at all major bookstores. • Email: intostoas@gmail.com • Tel. : (+30) 697.293.7037 for bookings.